We can’t believe its already THAT time of year, yes that’s right the holidays are right around the corner! Which means holiday travel, expensive airfare, delays and hectic connections are here too. Luckily we have some tips that will help your wallet deal with the expense of holiday air travel. Luckily for everyone fuel prices are going down, so there are still some great flight deals out there. Flexibility: The key to finding cheaper holiday flights is being flexible with your days and your times. If you aren’t flexible it means you aren’t going to get a deal. Usually the most expensive time to fly is the day before Thanksgiving, that Wednesday (November 25) and the Sunday after (November 29). If you can move those dates slightly you are much better off. Deals are going to be available either the week before or the Sunday or Monday before, Thanksgiving Day and returning on Friday (November 27) or the following Tuesday (December 1). So if you can adjust your dates slightly and you can save enough money to book a vacation in 2016! Avoid Low-Cost Carriers at All Costs! : Watch for hidden fees! 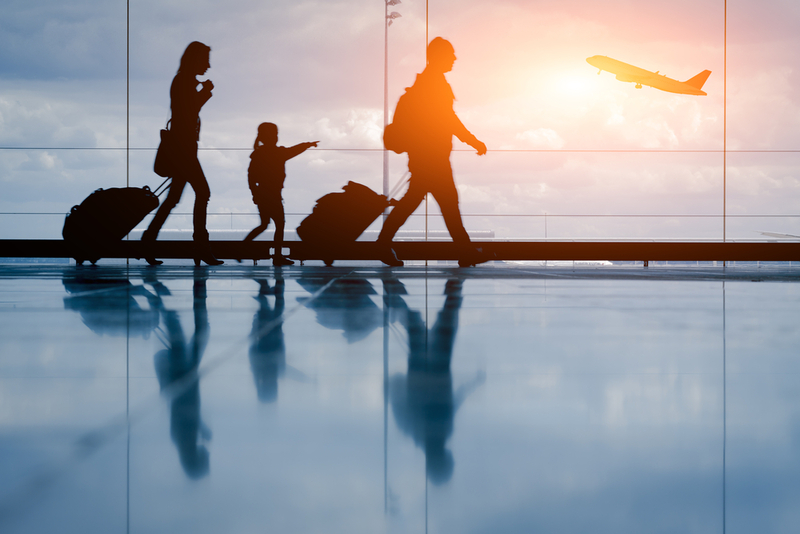 While low-cost carriers might seem like a great deal at first glance they are notorious for hitting you up for everything from baggage, assigned seats, and even carry-on luggage. So make sure you read the fine print before hitting “Purchase”. Time of Day: Everyone wants to leave before and after work, so again being flexible REALLY pays off. Don’t put a specific time of day in when you do your search, just look at the day overall or do an “early morning” or “late evening” choice. If you do have to leave early, pick one of the first flights out, while getting up at 4AM might be a killer, you have the least chance of being delayed. Alternate Airports: Sometimes using smaller airports can save BIG dollars. Flying into or out of Ft. Laurderdale for example is much cheaper than flying into or out of Miami. So don’t sleep on airports just because they might add an extra 30 minutes of drive time. They could save you hundreds! Add a Stop: Nobody likes a layover, but when they can save you a few hundred dollars, they actually aren’t that bad. Adding a connection onto your flight can save you money, so it might be worth the gamble. Fare Alerts: Sign up for fare alerts from websites like airefarewatchdog.com, kayak.com, yapta.com and farecompare.com. They can save you time and money. Choose Southwest if You Have Baggage: Southwest is one of the original low-cost carriers, they offer the first and second checked bags for free. A lot of airlines can charge up to an extra $120.00 if you are making a round trip flight. Use Points, Miles, or Anything Else You Might Have! : When booking for the holidays we often forget we can use those hard earned rewards to book a ticket. While they might gouge you on how many points you’ll have to use, it still might be worth it one way. Consult a Travel Agent: If you don’t want to spend the time and energy hunting for a flight deal yourself, you can use a travel agent. Often times they will only charge a fee of around $25.00, which if you can save a hundred or so, its completely worth it! Talk to a Real Person, Yes, They Do Exist: Sometimes an airline representative can save you countless hours, even if you do have a pay a fee. This ties back into using a travel agent as well. You can always have them do a little of the research and then finalize the booking online, for a less pricey option. So safe travels this holiday season and share any good tips you might have!